We are the UK’s first Travelling Piano Bar so there is nothing quite like us out there. We are flexible when it comes to venues, timings and occasions. We love a gorgeous wedding and we get excited at the thought of an incredible music festival, whatever your event, we are up for it! It's really simple, we bring the music and the drinks! All from our lovingly restored, vintage, 1970’s Rice Horse Box. Rusty's Travelling Piano Bar is ideal for a marquee, tipi or barn wedding. 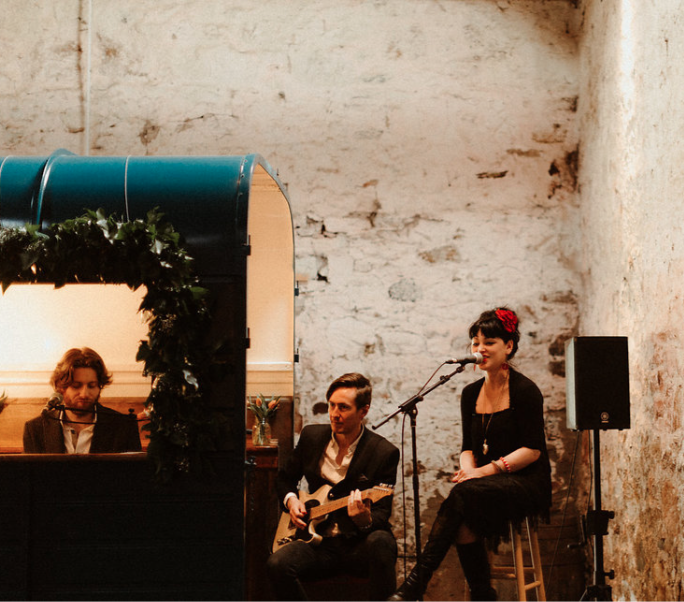 We have also been known to pop up at a few, super cool, warehouse weddings too! Whatever the event we can provide the perfect style of music to suit you and your guests.